It’s a brilliant board game about death! Maybe a game about death is a little grim (reaper), but it’s dead fun! 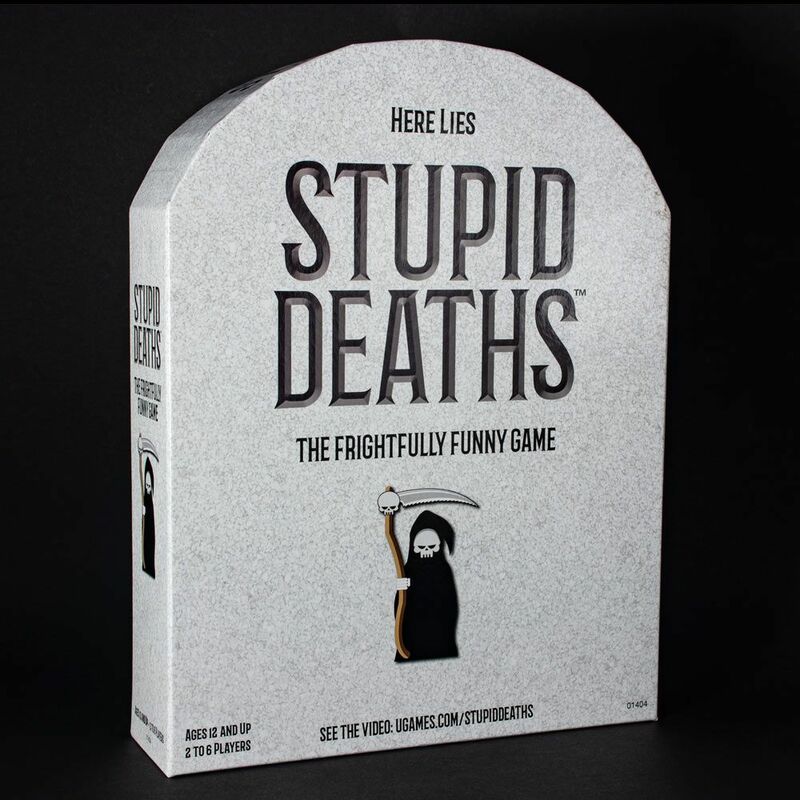 So, to make sure we don’t get too carried away (by the light), we’ll keep this short and simple: If you want a game that will, ironically, bring life to your game night, you need Stupid Deaths – the game of grave humour! The concept of Stupid Deaths is dead simple. The cards feature a bunch (a gaggle… a murder?) of deaths and you have to decide whether they’re real or made up – true or false. If you guess right, you advance around the board… but there’s the matter of the Grim Reaper chasing you as you go! If you want to win, you have to outrun the Reaper (or, at least, aim for a dead heat). Can you (pall)bear(er) the pressure? Of corpse you can!